Infrared energy is part of the electromagnetic spectrum & behaves similarly to visible light. It travels through space at the speed of light and can be reflected, refracted, absorbed and emitted. The wave length of IR energy is about an order of magnitude longer than visible light, between 0.7 and 1000 µm (millionths of a meter). Other forms of electromagnetic radiation include radio, ultraviolet, and x-ray. emitted. This is the energy detected by infrared cameras. The cameras do not see temperatures, they detect thermal radiation. Why does Infrared Thermography WORK? 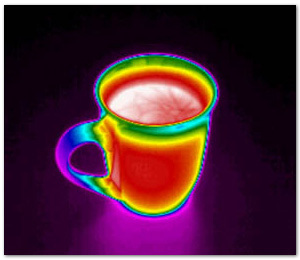 Infrared Thermography is the technique for producing images by using the total infrared energy being emitted by objects due to their thermal condition. 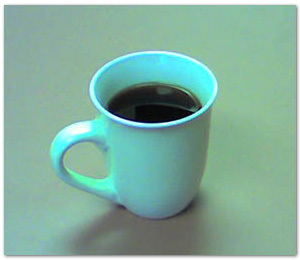 Very sophisticated cameras display temperatures of objects, or surfaces, and produce false color images to make interpretation of thermal patterns easier. The image produced by an infrared camera is called a thermogram, or sometimes a thermograph. Visit our Infrared Image Gallery to see the wide range of images. The Thermogram shows it as Hot. How can Thermography benefit you? Allows you to ‘see’ heat. Provides valuable information about you assets. Shows excessive temperatures & indicates the beginnings of failure. Prevents damages electronics & computers. Cost effective & safe to implement. The best method for resolving temperature related problems.